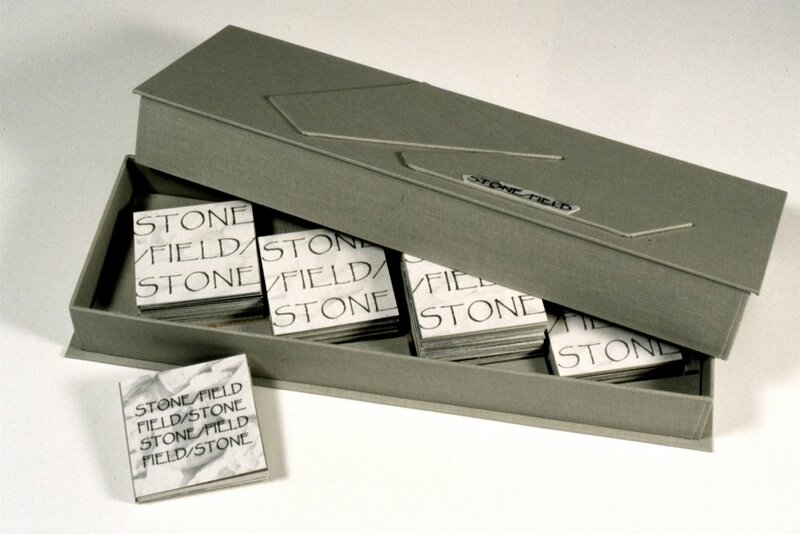 Five mixed media one-of-a-kind meander books with gelatin silver prints and book cloth. 4.25" x 12.75" x 3" closed, in box. Books are 2.25" high. Open lengths vary. For generations, rocks have been cleared from the barren limestone surface of the island of Inishmor and piled into fence rows. And countless baskets of sand and seaweed have been hauled up from the beaches to create a layer of topsoil for growing crops and grazing animals in what would otherwise be an uninhabitable place. STONE/FIELD is my tribute to this extraordinary connection between a people and their land. This book is available for viewing in the Artists' Books Collection at Kohler Art Library, University of Wisconsin, 800 University Ave., Madison, WI 53706. (608) 263-2256.